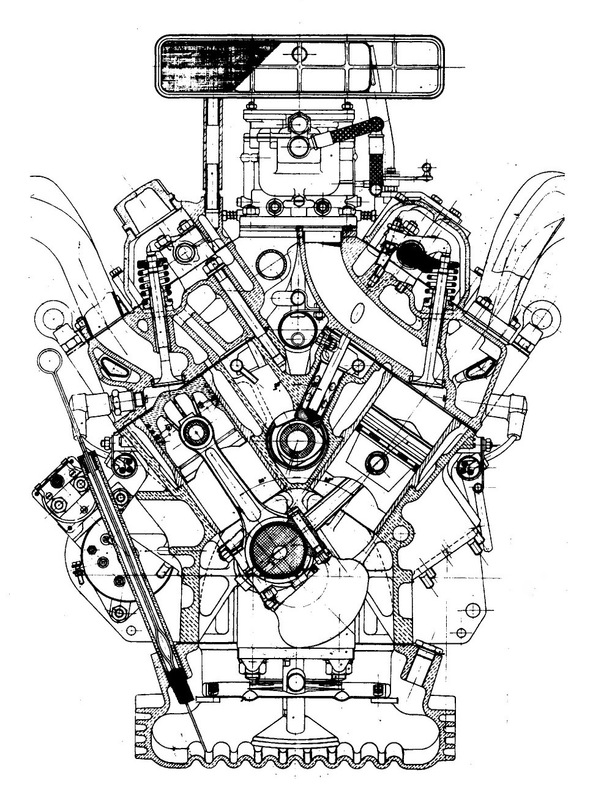 WE TEND TO think of V-8s as big engines: Even the “small-block” Chevy had displacements ranging from 262 cu. in. (4.3 liters) to 400 cu. in. (6.6 liters). The 427 Cobra got its name from its 427-cu.-in. (7.0-liter) Ford V-8. By contrast, the engine of Fiat’s Otto Vu, Italian for “8V,” displaced a mere 2.0 liters (122 cu. in.). 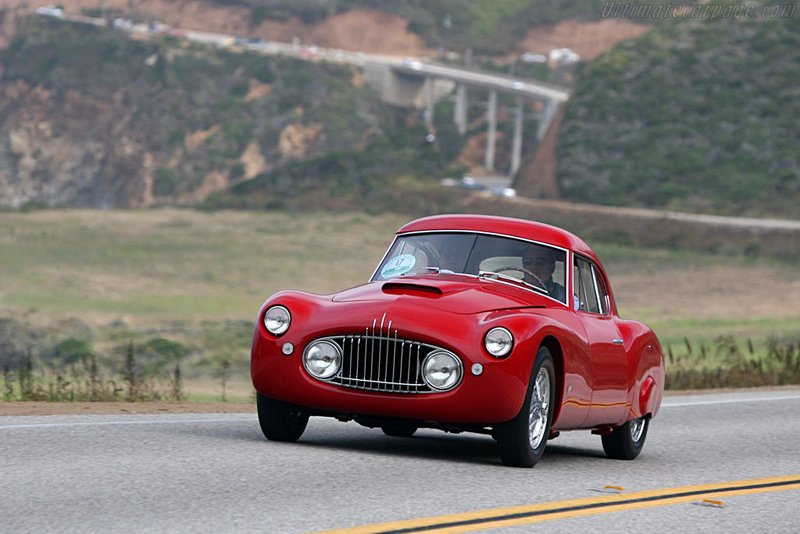 1952 Fiat Otto Vu, styling by the automaker’s chief designer Fabio Luigi Rapi. This and following images by Wouter Melissen from Ultimatecarpage.com. Indeed, Ford had used this logo liberally since introducing a flathead V-8 in its 1932 Model 18. On the other hand, Ford’s emblem didn’t differentiate between V8 and 8V. Fiat’s V-8, designed by talented Italian engineer Dante Giacosa, had its two banks aligned at a 70-degree angle. Typical V-8s are at 90 degrees for reasons of optimal dynamic balancing, but a 70-degree engine is narrower for a better fit underhood. The engine compartment is dominated by an oversize air cleaner fed through the Otto Vu’s hood scoop. 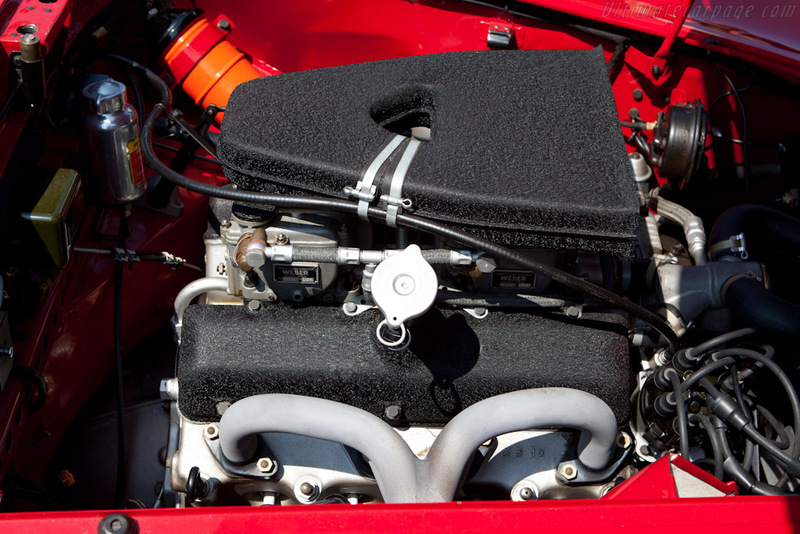 The engine’s 72.0-mm bore and 61.3-mm stroke were fashionably oversquare and gave a displacement of 1996 cc. Its overhead valves were actuated in traditional V-8 manner by rocker arms and pushrods, with a single camshaft nestled in the vee. A pair of twin-choke Weber carburetors provided the fuel/air mixture. Image from Hemmings Sport & Exotic, May 2013. The original Otto Vu had a compression ratio of 8.5:1 and produced 104 hp at 5600 rpm. A hotter cam raised this to 113 hp at 6000. In its ultimate form, an 8.75:1 compression ratio along with enhanced cam and fuel delivery yielded 125 hp at 6600 rpm. The engine was linked to a four-speed gearbox. Image by G. Cavara from Vintage Sports Car, Number One 2019, journal of the Vintage Sports Car Club of America. 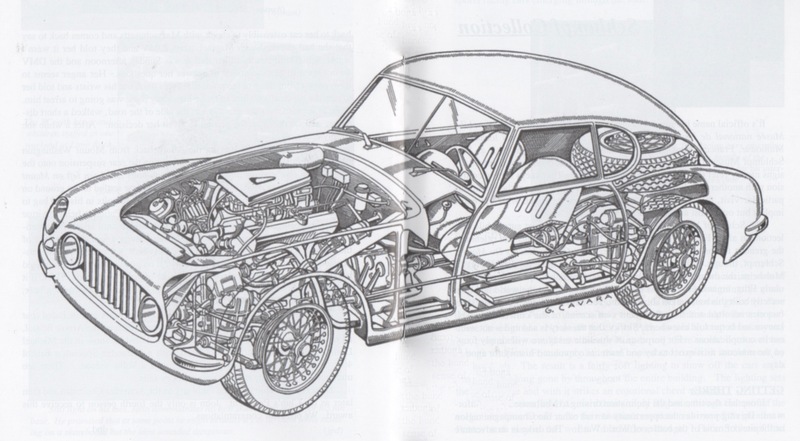 Suspension of the Otto Vu was independent front and rear, with double A-arms and coil springs. Its steering was worm and roller. Drum brakes of the era provided retardation. The car’s steel tube frame was clothed in bodywork styled by Fiat’s chief designer Fabio Luigi Rapi. An estimated 34 of the Otto Vu’s 114 total carried this company coachwork. Carozzeria Zagato produced perhaps another 32, several recognizable by this coachbuilder’s first double-bubble roofs. Balbo, Ghia, Pinin Farina, and Vignale also produced coachwork for the car. Fiat fabricated a glass-fiber reinforced plastic body for an Otto Vu displayed at the 1954 Turin Motor Show. 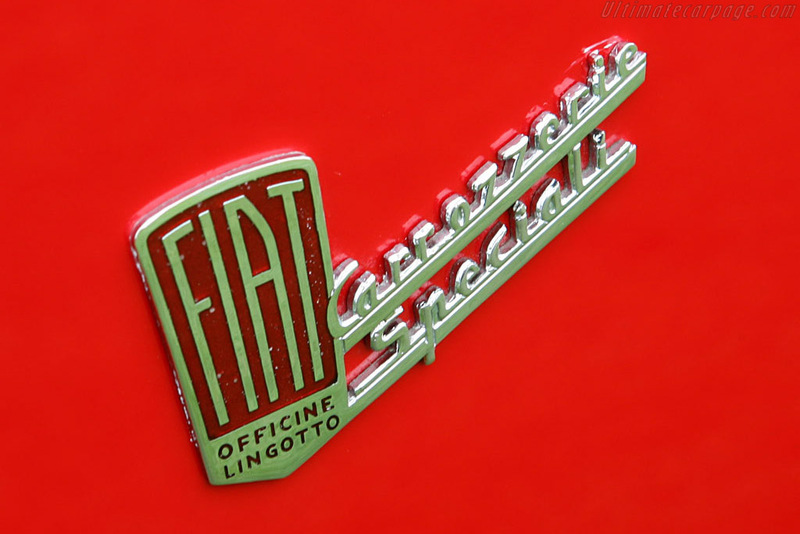 The car’s badging identifies its Lingotto heritage. The car’s limited production of only 114 examples between 1952 and 1954 made it less than a commercial success. However, the Otto Vu did well in racing, with victories in the Italian 2-liter GT championship as late as 1959. 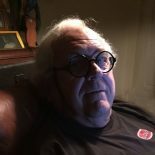 This post pushes my buttons as I have a “thing” for small displacement V-8s. Thanks for writing this. The Otto Vu and Siatas, eh? Me too. 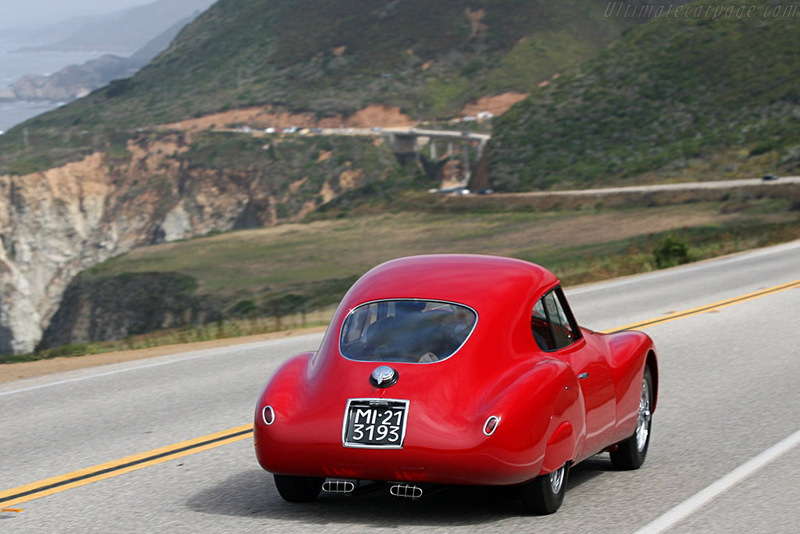 This entry was posted on March 30, 2019 by simanaitissays in Classic Bits and tagged "1952 Fiat" image by G. Cavara Vintage Sports Car VSCCA, "Fiat Otto Vu" The Jalopy Journal, "Fiat Otto Vu" Ultimatepcarpage images Wouter Melissen, "Otto Vu" Hemmings Sport & Exotic, Fiat chief designer Fabio Luigi Rapi, Fiat engineer Dante Giacosa.